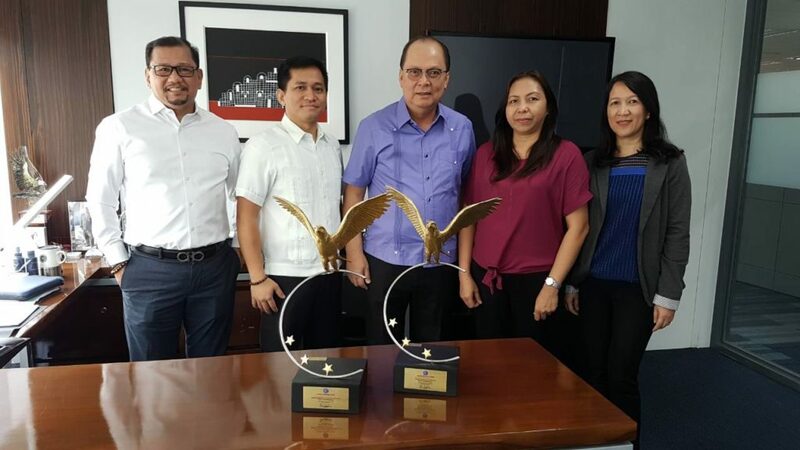 FPG Insurance, the major player in the general insurance industry and leader in motor insurance coverage, bags back-to-back wins at the 2018 BSP Stakeholders Awards given by the Bangko Sentral ng Pilipinas last July 10, 2018 at the BSP Assembly Hall. On its 25 th year, BSP employs the theme, “Reinforcing Partnerships, Defying New Challenges,” as the financial institution’s commitment to dynamic stakeholder engagement. According to the BSP, the Philippines remains to be one of the fastest-growing economies in Asia with sustained and uninterrupted economic expansion for the past 77 consecutive quarters. This strength is largely attributed to BSP’s partnership with its stakeholders. FPG Insurance Company, Inc. won two awards under the Information Support category: the Outstanding Respondent among Small and Medium Firms Award, and the Outstanding Respondent for Services Sector Award. The said awards are given to respondents who regularly and comprehensively provide supporting industry data necessary for the BSP to draw its business projections and formulate monetary policies. FPG Insurance Philippines President and CEO Ramon Dimacali accepted the two awards. “We thank the BSP for these awards and just like this year’s theme, FPG Insurance is committed to becoming resilient amidst challenges, and to continue to develop programs that will shape the general insurance industry, “ said FPG Insurance Philippines President and CEO Ramon Dimacali. Annually, the BSP holds the BSP Stakeholders Awards to reinforce its partnership with members of the different concerned industries. This underlines the institution’s seal of gratitude and trust. 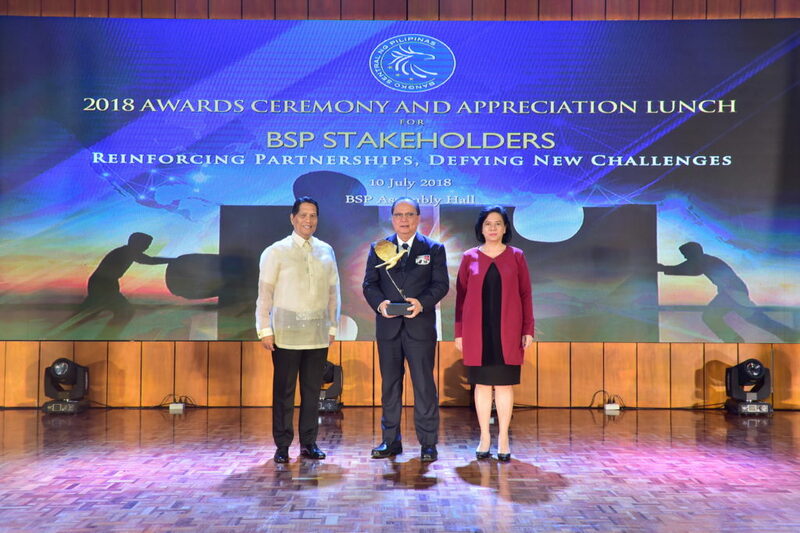 Every year, the number of awards being given increases as the BSP demonstrates its appreciation to the growing base of its stakeholders, recognizing those who rise to the occasion of providing outstanding support to different advocacies. The event was opened by BSP Deputy Governor for Monetary and Economics Sector Diwa Guinigundo, followed by the address of BSP Deputy Governor for Resource Management Sector Maria Almasara Cyd N. Tuaño-Amador on behalf of the Chairman of the Monetary Board and BSP Governor Nestor Espenilla, Jr.